Every year before the first river trip a River Safety Talk is held to inform and advise new members on the risks and safety aspects of participating in our sport. This is usually held on a Thursday before a pool session (before the Usk trip in October). See the Calendar for the date/time and emails from the list for the next safety talk. 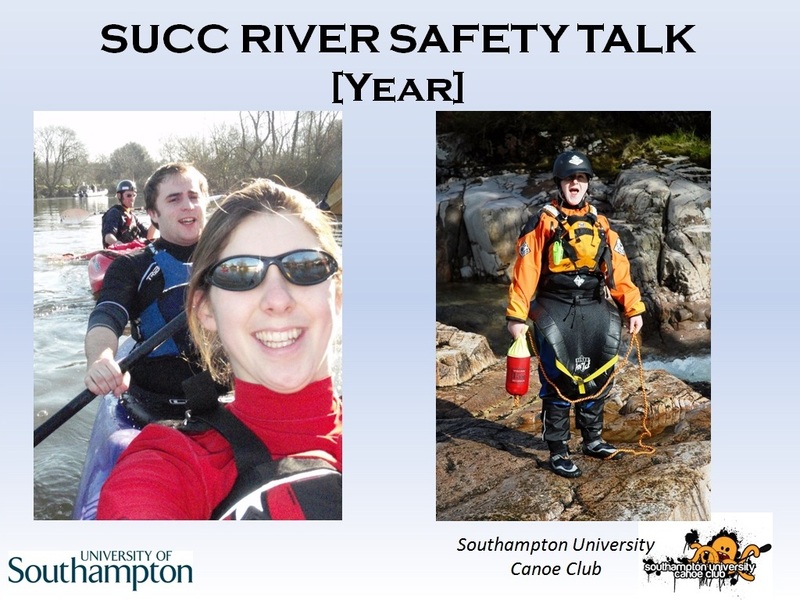 If for any reason you were unable to attend or would like to review the information you can download a copy of the slides from here – SUCC Safety Presentation and notes – River Safety Notes. SUCC take safety seriously and have carried out detailed risk assessments for the activities we participate in, they can be viewed here. These are approved by SUSU, who also provide us with 3rd party liability and accident insurance as part of being members of the Students Union. If you do not understand something, have any questions or would like more information please do not hesitate to ask a committee member, river leader/backer and they will either be able to help you or point towards someone who can. Alternatively you can contact the committee via email here.